Many years ago, curiosity led me to want to learn more about how soap is made. Very quickly, it became an absorbing hobby which has since become a sizeable business. 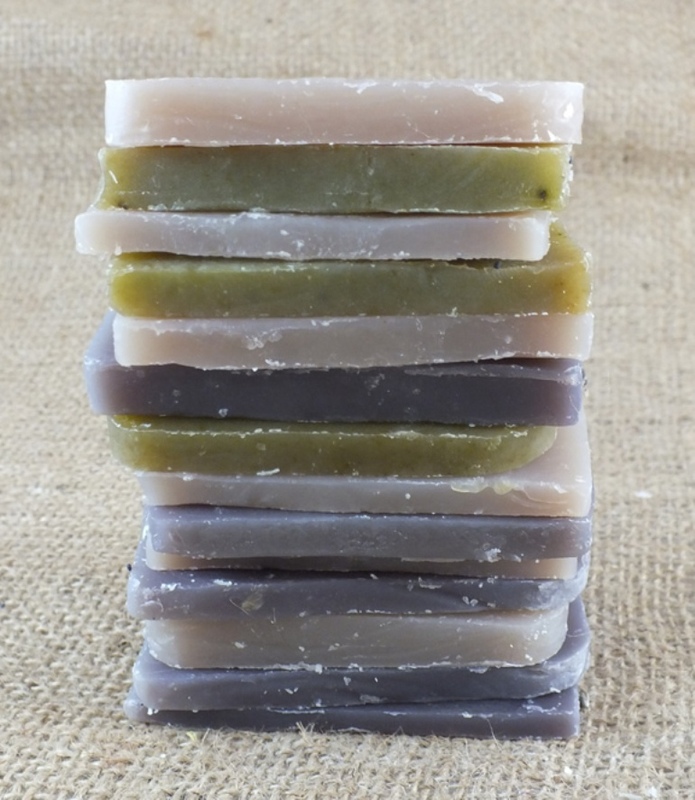 Most of us give little thought to what wash with, probably paying more attention to hair products or moisturisers, but are you aware that natural bars of soap are better for you? One of the most common comments I hear about our hand made soap bars is, ‘I can’t use soap because it dries my skin.’ If only everyone knew what a huge difference there is between a commercially-produced bar of soap and one made in the natural cold-process method by hand. If we all used the latter, there would be a lot fewer complaints about dry skin. A liquid soap or a body wash means using harsh surfactants on your skin, so this is not always a better choice than using a natural hand made bar of soap, either. 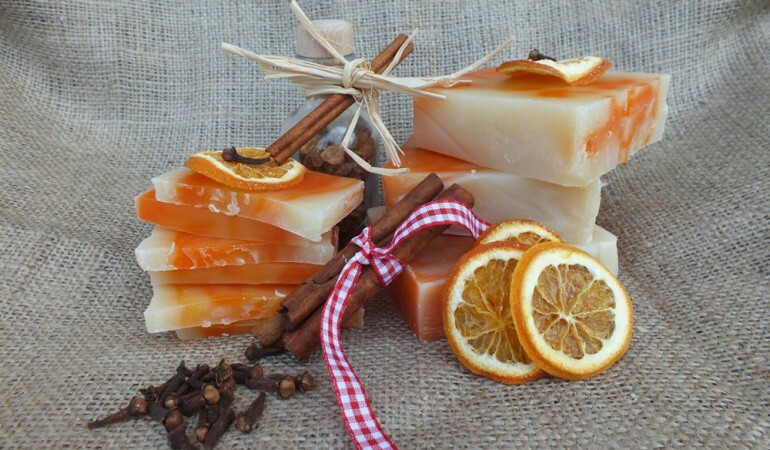 Soap is easy to make at home using basic ingredients. The finished product, if made to a good recipe, is actually very kind to most skin and especially beneficial to anyone who might suffer from eczema or other similar skin conditions. The big difference is that all the properties of the natural oils that soap is made from, and all of the natural glycerine that is formed when the soap is made, remains in a hand made soap. This is removed when a soap is made commercially. This is why certain brands take so much effort to explain all about the added moisturisers their products have. These tend to only be added because the naturally-moisturising properties of their soap were removed during manufacturing. For those of you that don’t know what soap is made from, it can be made from any oil or fat (but not mineral oil) by chemically reacting it with a caustic alkali. Bar soap is made using Sodium Hydroxide as the caustic alkali and, when this is mixed in precise proportions with your chosen oils and fats, a completely new product is made. Soap! It is easy to tell what oils a soap is made from by checking the ingredients list. A soap made from olive oil will have ‘Sodium Olivate’ in the ingredients. Palm Kernel oil is a widely used vegetable oil in commercial soap production, which appears as ‘Sodium Palm Kernelate’. For those vegetarians amongst you that pay no attention to your soap, if you see ‘Sodium Tallowate’ in the ingredients, it’s made from rendered animal fat, usually beef or pork. 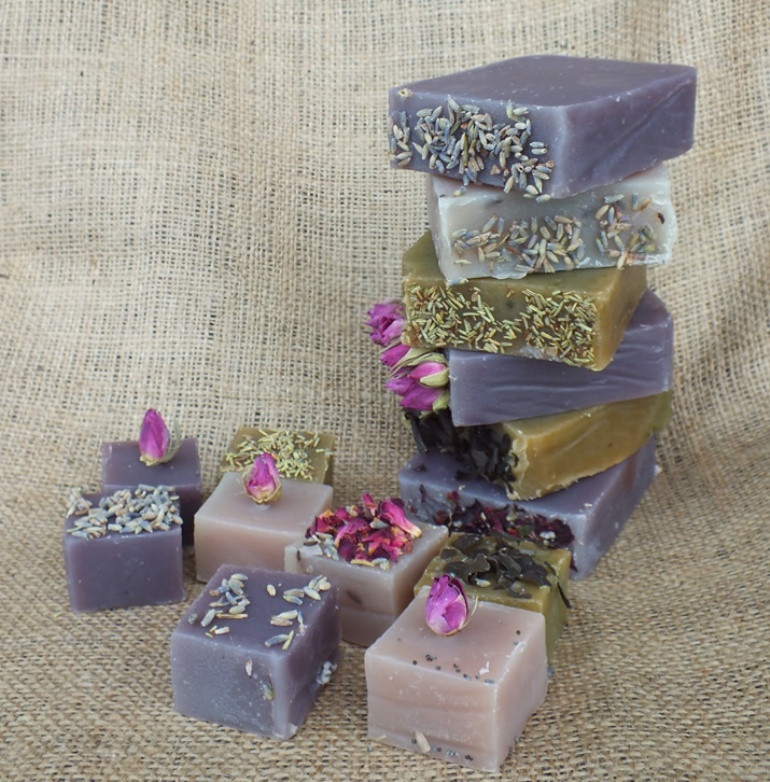 Personally I choose to make all my soaps from pure vegetable oils and I choose to use a mixture of Olive, Coconut and Palm oils (palm oil from sustainable sources) because they produce a soap which is kind to the skin and lathers well. The huge difference between a hand made soap and one made commercially is when making a soap by hand, it is normal to choose to use a little more of the oils and fats than is precisely necessary. This means small amounts remain in the finished soap in their natural state and many natural oils can have extremely beneficial properties for the skin, which along with retaining moisture, can also help to calm certain dry or irritating skin conditions. The natural glycerine which is a by-product of the chemical reaction, remains within the soap – glycerine is very kind to the skin. This is why a natural hand made soap is far kinder to our skin than anything produced commercially. Most commercially produced soaps are made in at least two stages. The first is to make the soap itself; the second is usually to mill it into flakes, which then have the colour and fragrance added before being compressed into bars. Before soap can be flaked it has to be very dry and hard. To be dry and hard it cannot have any natural oiliness nor glycerine so these are removed, thus all that remains is the soa’ itself, which is why many people think that using it can dry their skin. If only they knew! 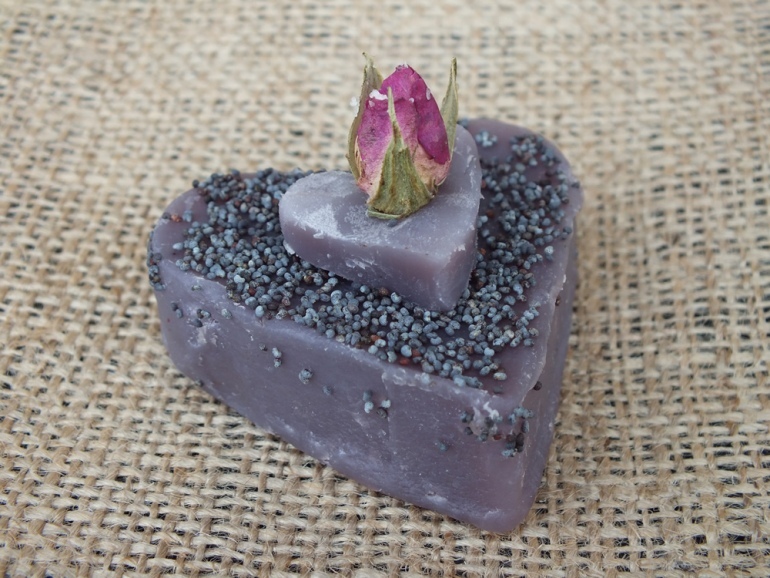 If this article has stimulated your curiosity and you’d like to know how to make your own hand made natural soap in the cold-process method, or this article on making bath bombs.